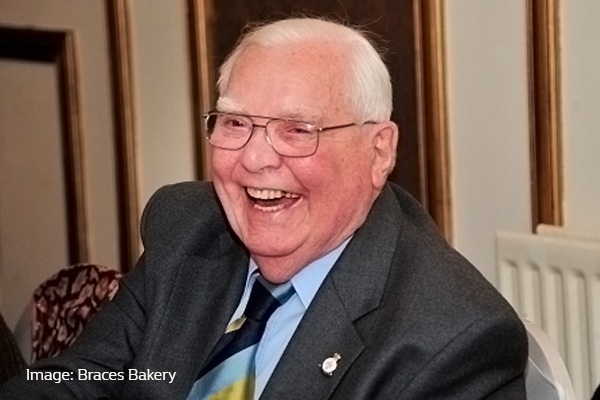 One of Wales’ oldest businessmen, Colin Brace OBE, Chairman of Braces Bakery, died on February 12, working almost right up to his death after a short illness. Colin Brace was the grandson of founder George Brace, and had worked in the business since the 1940’s. He still actively worked in the bakery until as late as last week, and regularly drove up until last year, and received his OBE in 2013. Since the sad announcement, the Company’s Twitter feed has been full of many recollections of a ‘true gentleman’, a ‘lovely man’ and someone who was ‘a pleasure to work for’. He leaves behind a legacy of a Welsh success story that has gone from strength to strength. Truly, a much-loved welsh legend.